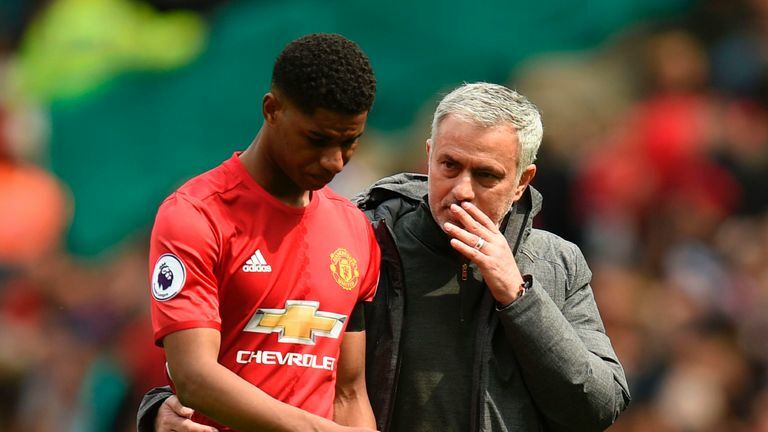 Jose Mourinho has launched an impassioned defence of his development of Marcus Rashford, insisting the England international has played "an incredible number of minutes" under him at Manchester United. 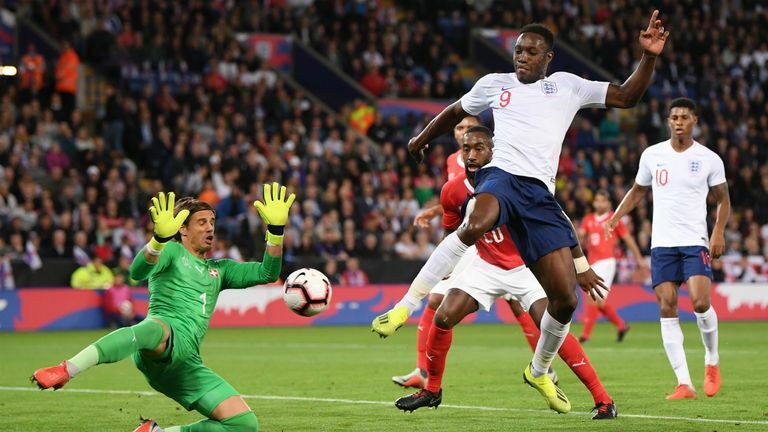 In contrast, the 20-year-old found himself cast in a starring role for Southgate's England over the past week, scoring both of the team's goals against Spain and Switzerland and looking every inch an international-class forward. Jamie Carragher said earlier this week Rashford may need to leave Old Trafford if he is to emerge as a world-class player but Mourinho insists that is not the case and he arrived at Friday morning's press conference armed with the numbers to back up his view. "In the season 2016/17, Marcus Rashford played 32 Premier League matches, 11 Europa League matches including the final, three FA Cup matches, six League Cup matches including the final, 53 appearances," Mourinho said. "If you want to take the minutes of play, he played 3,068 minutes. If you want to divide that by 90 minutes of the matches, he played 34.2 matches of 90 minutes. 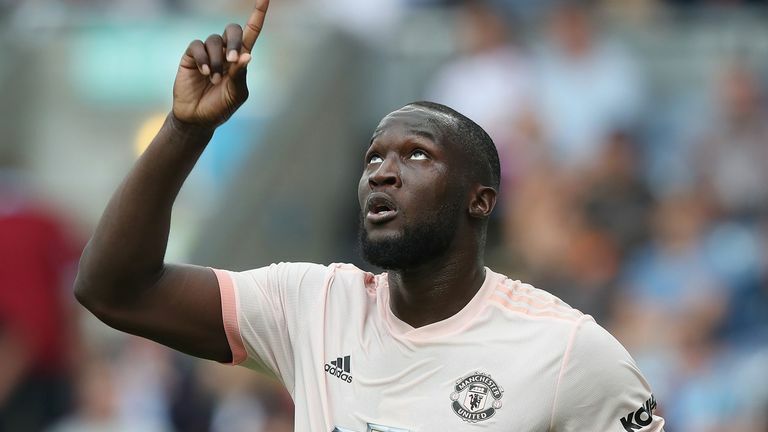 "In the 2017/18 season, he played 35 Premier League matches, eight in the Champions League, five in the FA Cup including the final, three League Cup matches and the European Super Cup final. "He played a total of 52 matches with 2, 676 minutes. If you divide that by 90 it gives 29.7 matches. "So with me in two seasons, he had 105 appearances, 5, 744 minutes, 63.7 matches of 90 minutes including five finals so the people that are speaking about his minutes I think they are a bit confused." Mourinho also took the opportunity to have a dig at some of United's competitors, comparing Rashford's development to some other top, young English players at rival clubs. "Marcus Rashford is not Dominic Solanke. He is not Ruben Loftus-Cheek. He is not Dominic Calvert-Lewein," Mourinho said. "He is Marcus Rashford - a Manchester United player, with an incredible number of appearances and an incredible number of minutes played at the highest level in the best possible competitions. "So Manchester United supporters, for you and just for you to know what we are doing with Marcus Rashford, with Luke Shaw, with Jesse Lingard, with Scott McTominay, that is what we are doing here." In total, Rashford has made 126 appearances for United, scoring 32 goals, since being handed his debut by Louis Van Gaal as an 18-year-old substitute against Midtjylland in February 2016. And Mourinho is confident Rashford, who joined United's academy at the age of seven, should be happy with the pace of his development at Old Trafford, despite external viewpoints to the contrary. The United boss continued: "The kid is a good kid. The kid is a good player. The kid knows what Manchester United did for him, starting in the academy, then Mr Van Gaal's support, then my support and the club's support and the new contract and the new shirt and being selected for every single match since I am here. "Marcus Rashford was selected for every single match. He was never one day out of selection because of my decision. He knows and that is the most important thing. "But again, media is very important and I think it is very important that Manchester United supporters know the truth. "That is why I am going so specific about these numbers."